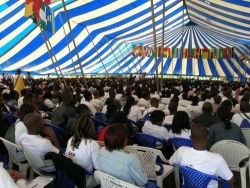 Pamoja Africa Conference took place in Nakuru, Kenya. It brought together over 2,500 participants from over 34 African nations. This wa the first time in history when students and professionals gathered together in such magnitude and diversity on the continent of Africa. The Vision for Pamoja Africa Conference was to accelerate the the building of a new generation of Spiritual leaders for a new Africa and beyond. 5 Non African countries were represented. 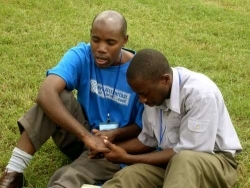 UGANDA: RUC 2007 -Reaching Uganda Campuses. 15th August to 15th September 2007. The Project fee is US$200 per person for accomodation, meals and transport during the project. This amount does not include transport costs to and from Uganda. Register for the project Today. There will be a special Pamoja Conference exclusively for professionals. Look out for further details. For many, Pamoja was a great experience for a lifetime. copyright© 2007 Campus Crusade for Christ all rights reserved.